33 MYR roundtrip transportation to Timpohon Gate from the park entrance. 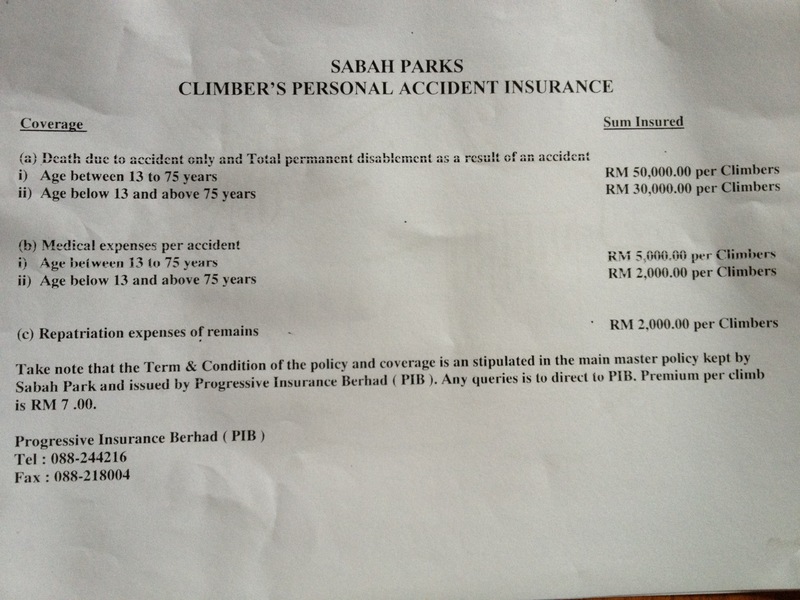 Above is a photo of what the 7 ringgit insurance covers. Pretty good for 2 bucks, but it won't cover an airlift out, so if you break a leg you'll just have to hop. 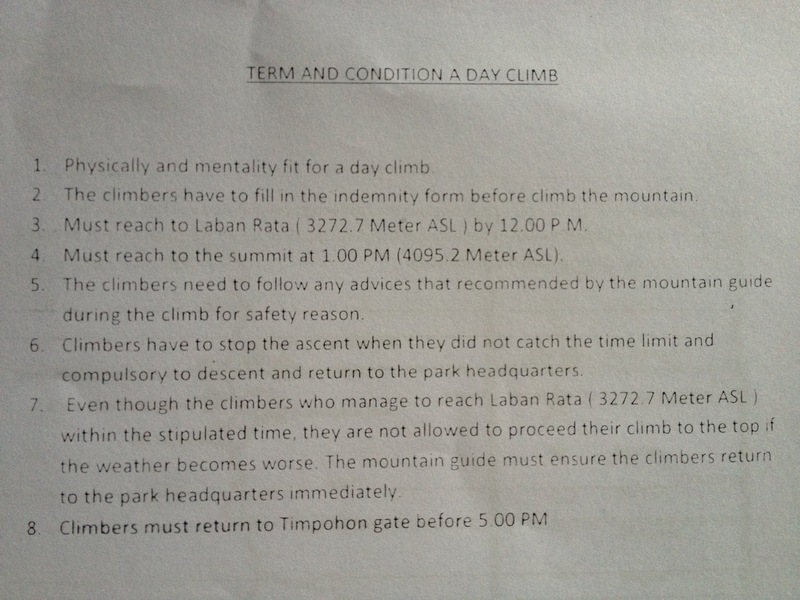 The last and final stipulation is that you need to arrive to the park the day before you wish to climb. The park headquarters is open between 8-5 to talk to the park ranger about making the accent the following day. You’ll need to be at park headquarters the next morning at 7am in order to take the transport to the start of the trek. Good luck! « Ambuyat: The weirdest delicacy I’ve tried yet. Is there also an option to do it in 2 days? 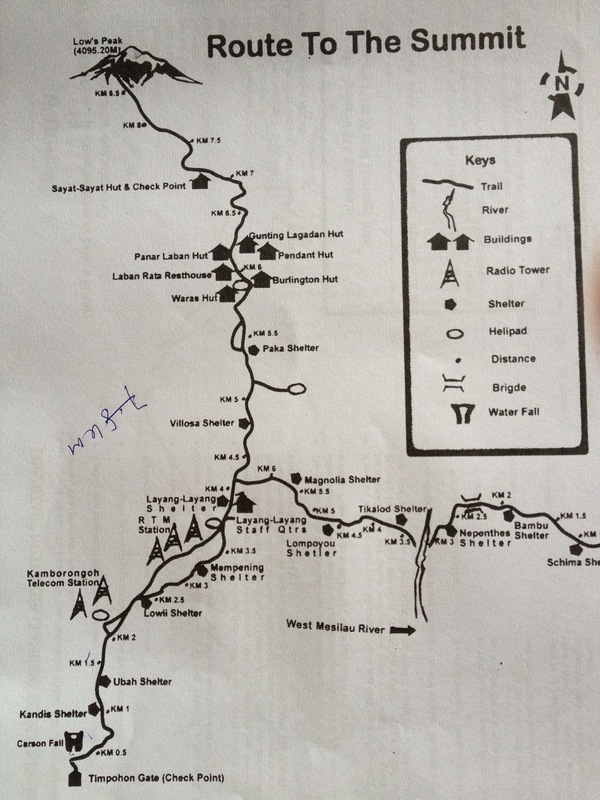 Or is the 1 day summit the only route that makes sense? Yeah, it’s in the article. The one day option would be best if you’re on a budget. I did it in one day as well. So glad I did because there was no way I could afford two days! 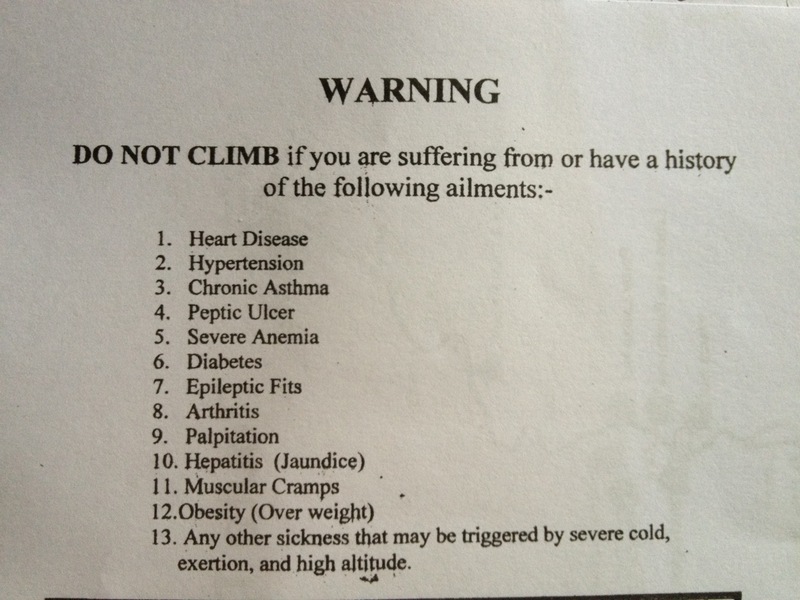 how did your climb go?